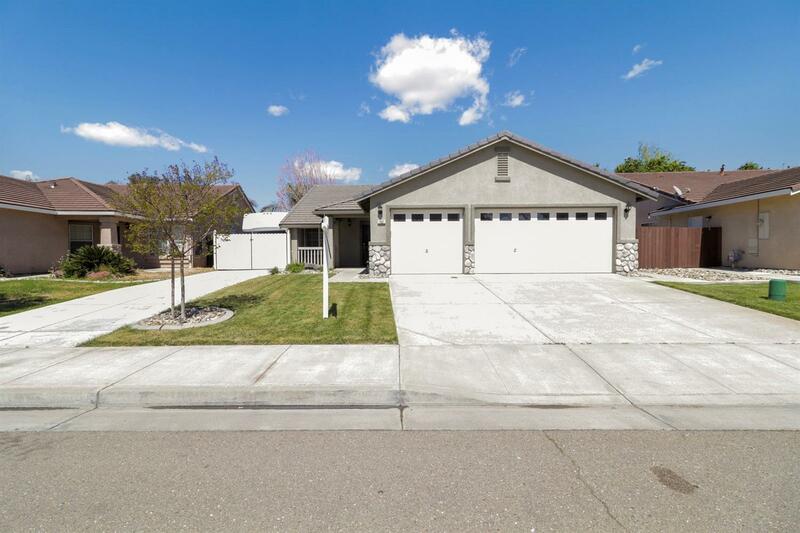 Welcome to 1601 Bayberry, this cozy home nestled in Corral Hollow Estates is one of Tracy's most welcoming communities. 4 bedrooms 2 bath and 3 car garage. Unique 4th bdrm could be den or office. Sip coffee on the country style porch in the morning sunshine, then step into this stylish well kept home exhibiting vaulted ceilings and a great floor plan. Organization meets style with built in cabinets and drawers in closet, there's a place for everything. Enjoy some time in the family room next to the electric fireplace or step into the open dining room and kitchen, flooded with natural light and dual pane windows lots of energy savings. Side gate for RV access and a lush green lawn to play on and a cement slab for entertaining. This home has an indoor laundry room and connecting is a spacious 3 car garage, plenty of room for all your toys. This home is truly a must see!